NAMED ONE OF THE MOST ANTICIPATED BOOKS OF 2019 BY WOMAN'S DAY, NEWSDAY, PUBLISHERS WEEKLY, BUSTLE, AND BOOK RIOT! Bridget Jones's Diary meets Americanah in this disarmingly honest, boldly political, and truly inclusive novel that will speak to anyone who has gone looking for love and found something very different in its place. Queenie Jenkins is a 25-year-old Jamaican British woman living in London, straddling two cultures and slotting neatly into neither. She works at a national newspaper, where she's constantly forced to compare herself to her white middle class peers. 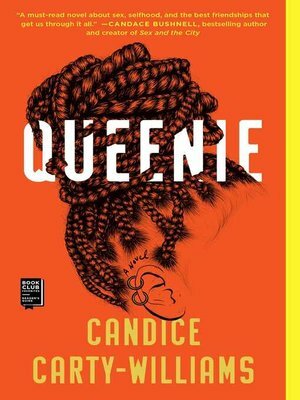 After a messy break up from her long-term white boyfriend, Queenie seeks comfort in all the wrong places...including several hazardous men who do a good job of occupying brain space and a bad job of affirming self-worth. As Queenie careens from one questionable decision to another, she finds herself wondering, "What are you doing? Why are you doing it? Who do you want to be? "—all of the questions today's woman must face in a world trying to answer them for her. With "fresh and honest" (Jojo Moyes) prose, Queenie is a remarkably relatable exploration of what it means to be a modern woman searching for meaning in today's world.